Russian Military Sets Up Checkpoints In YPG-Held Sheikh Maqsoud District Of Aleppo City – Reports 4.75 out of 5 based on 12 ratings. 12 user reviews. The Russian military has set up a number of checkpoints in the YPG-controlled district of Sheikh Maqsoud in the Syrian city of Aleppo, according to local sources and media activists. Check points have been reportedly set up by the Russian Military Police in order to monitor the situation and to increase security in the area. Various sources say that between 10 to 20 Russian military servicemen are involved in this effort. 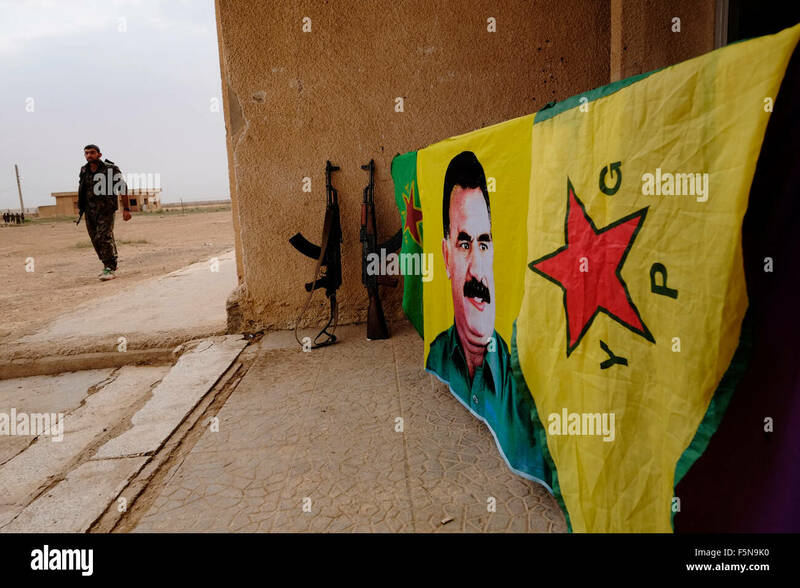 Russians should know PKK and YPG’soi are Kurdish peaceful freedom fighters.FSA are the one’s who defected from the legitimate Syrian government after promised by NATO.Saudi Arabia and Turkey to overthrow the government and rule Syria.FSA =ISIS and therefore must be forced to surrender or lay down arm’s for Syrian peace. FSA betrayed Syrians and must surrender.Erdogan uses FSA to kill Kurdish people.Russians are aware of this Turkey dirty play in the name of fake satanic friendship. YPG is just PKK’s Syria branch and they intend to divide Syria in 2. That is why USA has already established 5 chop bases and 2 military bases in Northern Syria. USA intends create a small puppet state there. SAA should not trust PKK’s Syria branch YPG at all. We saw this at Hasakah. YPG will ask for Qamishli in return for handing Sheikh Maqsoud districh. how is a u.s puppet state ‘democratic’ you goose.! you mean like they did in libya…? when they removed jamariyan revolutionary government. and murdered gaddafi. ? He may be serious, but at least “mass murdering” was not used in post. Last I checked Isreal is in the middle east. But it may be just a US/Zionist puppet state. Let the hate mongering begin! Whoa! Since when do US puppet states tend towards democracy? Or perhaps more of a western zone of influence in northern Syria. The Kurds/SDF are the boots on the ground to push south to Raqqa and river line, but they will take their time about it. No need to give up Qamishli by SAA. If area is pressured by Kurds, Turkey may actually support Syrian forces there!!! How’s that for a strange twist on this conflict in Syria? It is a troll paid and bought by Turkey to hate Kurds. Same and typical turkish brainwashing !! long live the kurds ! Look the lying Turkish bot on here too how sad. Even Ashton Cartor admits that YPG is PKK’s Syria branch. YPG soldiers have Abdullah Ocalan badges. As everybody knows, Abdullah Ocalan was the leader of PKK. Captured and prisoned like a rat! Do you understand that Democratic Confederalism is a form of Anarcho-Syndicalism, and so them both being followers of Ocalan’s ideals doesn’t actually imply they have to be carrying out the same project, the way it would for a more centralised political ideology? Do you also understand that forming a nation-state is NOT one of the goals of Democratic Confederalism? The ideology doesn’t even value nation-states as such. They don’t have to get an independent Kurdistan to get what they want. You know Erdogan is an idiot. Stop repeating his propaganda. He attacked the PKK to create a convenient enemy to scare people with, not the other way around. They had been in a generally peaceful state and looking at political solutions until then.